In The Last Leaf by O. Henry we have the theme of commitment, sacrifice, friendship, compassion, hope and dedication. Set in the first decade of the twentieth century the story is narrated in the third person by an unnamed narrator and after reading the story the reader realises that Henry may be exploring the theme of commitment. Throughout the story there is a sense that all three painters mentioned Sue, Johnsy and Behrman are committed to something. Sue has a piece to draw and is working on it throughout the story, while Behrman though he hasn’t completed his masterpiece remains focused on it. And Johnsy though not painting is committed to dying as soon as the last ivy leaf falls from the vine. By highlighting each characters commitment Henry may also be suggesting that those who live their lives artistically are driven or focused. Unlike the majority of people who may live their lives working nine to five and forget about work as soon as they clock out. Henry also appears to be exploring the theme of friendship. There is the obvious friendship between Sue and Johnsy with Sue remaining focused on helping Johnsy get better. Also Behrman, though when first introduced to the reader comes across as being a cantankerous old man, he is in reality fond of both Sue and Johnsy. This fondness is probably based on Behrman’s understanding of how difficult life is for an artist. The sacrifices that they have to make in order to pursue their work. It is only at the end of the story that the reader realises just how committed or fond of Johnsy (and Sue) Behrman actually is when he sacrifices his own life in order to save Johnsy’s. It is also noticeable that Johnsy very early on in the story gives up any hope of living or beating pneumonia. This lack of hope in many ways is mirrored by the doctor. He remains practical, aware that there is nothing he can do for Johnsy unless she herself also makes some form of commitment (to stay alive). He feels that rather than focusing on the leaves on the vine it would be more practical for her to focus on her recovery from pneumonia. Though it is also possible that Henry may have deliberately set the story with one medical doctor and three artists in it to highlight to the reader the differences in interpretation of all three (medical versus artist) when it comes to defining practical. Which may further highlight the high levels of commitment (to dying) that are being displayed by Johnsy. Just as all three artists are committed to giving their all for their art, likewise Johnsy is committed to dying. There is also some symbolism in the story which may be important. Each leaf that Johnsy sees falling from the vine in many ways leads her into further despair. However when Behrman paints the one leaf it symbolises hope for Johnsy. Something that is noticeable when her health improves on her discovery that the last leaf has not fallen. The weather itself may also be symbolic as Henry may be using the weather to highlight how for some people (Behrman) life is not as easy as it is for others. It is possible that Henry is suggesting that artists, though many might say they make life difficult for themselves, this may not necessarily be the case. Rather as previously mentioned artists are driven by their art unlike the majority of people who will work and then go home. An artist’s home is their work. It is also noticeable that Henry makes a comparison between the worlds of Art and Literature in the story. ‘Young artists must pave their way to Art by drawing pictures for magazine stories that young authors write to pave their way to Literature.’ This line may be important as by comparing both the world of Art and Literature to each other Henry may be highlighting again the sacrifices that an artist or a writer must make. Sacrifices that the majority of people will never understand or have to make. Henry also seems to be using personification. The doctor calls pneumonia, Mr Pneumonia and suggests that pneumonia was not ‘what you would call a chivalric old gentleman’. Also the streets mentioned at the start of the story. They are symbolic of human passions and relationships (crazy and broken). The ending of the story is also interesting because it is only at the end does the reader fully realise the sacrifice that Behrman has made. He has given his own life in order to save another person’s life and in many ways the single leaf that he has painted on the wall is his masterpiece. It has rejuvenated Johnsy. Just as the pneumonia was taking a toll on her lungs (and breathing) the last leaf has given her back her breath or life. Something that is noticeable when the doctor arrives and notices an improvement in Johnsy’s well-being. It is also interesting that on seeing the last leaf Johnsy no longer views life as negatively as she has previously done throughout the story. Rather she realises that ‘it is a sin to want to die.’ This line may be important as it is possible that Henry is suggesting that regardless of how one feels an individual should never give up. That they should keep trying just as Behrman did till the end when he finally managed to complete his masterpiece and restore hope into Johnsy’s life. McManus, Dermot. "The Last Leaf by O. Henry." The Sitting Bee. The Sitting Bee, 9 Apr. 2016. Web. Thanks for the comment An Tam. The point of view used in the story is a third person omniscient narrative. The benefit of which is that we get an insight into the thinking of all the characters mentioned in the story. Two of the characters in the story would be termed round characters as they develop somewhat. Johnsy returns to health and Behrman acts as the trigger for Johnsy to change. Both characters ‘move’ forward throughout the story. Though Behrman does end up sacrificing his life for Johnsy. Sue might be described as a flat character. She does not change throughout the story. Spending her time either looking after Johnsy or painting. Through her influence should not be under estimated as it is through her character that Henry manages to set the ball in motion for Johnsy to eventually change her perspective on life. Can u plz explain to me this comment on the last leaf? Thanks for the comment Snehal. I’m not sure I understand your question. A third person omniscient narrator is one that knows everything. The benefit of which is that the reading gets a full insight into the story. Round characters are characters that develop or change. While flat characters remain the same. There is no change. Though Sue is a flat character she still nonetheless acts as the trigger for change by engaging with Behrman and telling him about Johnsy. I mean what we can give comment on the last leaf story? You might look at the sacrifice that Behrman makes in the name of friendship (for Johnsy). How he gives his life for a friend. Can you suggest to me an idea of ending this story in literary peace? Thanks for the comment Sukhleen. I’m not sure I fully understand your question with regard to literary peace. Perhaps if Behrman hadn’t given his life to Johnsy and rather than dying had witnessed the benefit of his painting (or masterpiece) to others (Johnsy). Thanks. I looked out the window at the doctor’s office and this story came to mind. I saw it years ago and read the book in the park. Thanks for the comment Lois. It’s a great story. Can you my sweet friends give me a brief summary about sue? Its not properly stated in the book actually. Thanks for the comment Simran. Sue is dedicated to Johnsy. She is also always there for her while at the same time managing to carry on with her life (painting). She also acts as the catalyst between Behrman and Johnsy. If it was not for Sue telling Behrman about Johnsy’s condition. There would be no change in the story. I want to focus on the theme being ‘sacrifice’, which Behrman clearly made for Johnsy. However, have Johnsy and Sue made any sacrifices in the story? Thanks for the comment Molly. It may be a case that Sue has also made a sacrifice. She has spent her time throughout the story being concerned and caring for Johnsy. Putting her focus on Johnsy rather than just continuing on with her life. It is Sue’s actions that act as a catalyst for Johnsy’s recovery. With regard to Johnsy herself making a sacrifice it is possible that she has made a sacrifice by being willing to die for what she believes in. Though again it is Behrman, driven by his friendship with Johnsy, who has made the ultimate sacrifice (dying). No problem Molly. I’m glad I was able to help. Is this a story critique? Thanks for the comment Bobby. What I’ve written is a brief analysis of the story. It’s difficult to include everything in such a small space so I sometimes miss things. Thank you for the great analysis…Few questions that popped into my head. Why is Behrman’s death being considered as a sacrifice? Also why is Johnsy committed to dying? Thanks for the comment Devanshi. Behrman’s death may be considered to be a sacrifice because he could have ignored what was happening Johnsy but instead chose to try and help her. To restore her faith in life. He didn’t need to do anything and gave himself (and his life) in an effort to help Johnsy. Johnsy may be committed to dying because she believes in something so much. She seems to believe in the beauty of life and each falling leaf suggests that there is so much decay in life that the beauty is not being seen. Does this story possess a lesbian atmosphere between Sue and Johnsy? Thanks for the comment Shadhiya. When I read and reviewed the story I looked upon Sue and Johnsy’s relationship as being purely a friendship. However it is possible to use a different lens when reading the story and assess their relationship as being something else. Can you give a psychoanalytic reading on the last leaf? Thanks for the comment Najeeb. I’m not sure that I’m qualified to analysis the story through a psychoanalytic lens. As far as I can work out a psychoanalytic reading of the story would involve an exploration of the the secret unconscious desires and anxieties of the author. I don’t know enough about Henry to analysis the story in that manner. 1.Hi. Why was behrman called to have head of satyr and body of imp? 3. Why did he scoff at people? Thanks for the comment Devanshi. It is possible that Henry is using Behrman’s physical appearance (satyr and imp) to suggest to the reader that Behrman is non-human which in many ways is ironic because of the act of kindness he commits for Johnsy. For a lot of the story Behrman could be interpreted as being cold and his act of kindness comes as a surprise to the reader. With regard to Behrman’s accent Henry may be attempting to differentiate between Behrman and others. To try and make him stand out. Which he does at the end of the story. It is also possible that Behrman scoffs at other people because he may consider himself to be better than others. It may also be a defense mechanism that Behrman uses to protect himself from others too. A defensive wall so as nobody can get close to him. Thanks for the comment Parthhh. It’s a brilliant analysis. What is the intention or purpose of the writer? What is the literary devices used on the story? And what is the literary techniques in the story? Thanks for the comment Milly. Henry’s intention or purpose when writing the story may have been to explore how some people sacrifice so much in order to help others. Something that is noticeable when it comes to the sacrifices that Behrman makes for Johnsy. One literary device that Henry uses is personification. Johnsy’s relationship with the leaves is an example of this. As for the literary technique used by Henry the story is set in the one place (an apartment building). It is possible that Henry used a confined space to highlight how paralyzed or stuck Johnsy was. Would Mr. Pneumonia stalking about…touching here and there…qualify as Personification? It think it might. Pneumonia is non-human which would be the required classification for personification. What is the style of the writer in this story?? Thanks for the comment Fatima. Henry uses a very relaxed style of writing when writing the story. Though what happens is serious Henry manages to hide this very early on from the reader. There is no sense at the beginning or middle of the story that Behrman will lose his life while helping Johnsy. O. Henry’s The Last Leaf is a story of sympathy and sacrifice. How? Thanks for the comment Santu. Behrman identifies with Johnsy (sympathizes with her) and gives his life for her. So that she may live herself. Why does Johnsy not want to live? Thanks for the comment Bodhisatwa. Johnsy most likely is seeking beauty in life and sees none. The last hopes that she has are the ivy leaves on the wall. When they start to disappear so too does her faith in life and living. Can I ask what are the elements found in this story? Thanks for the comment Jye – Jye. Every story has five elements. The characters, the setting, the plot, the conflict, and the resolution. 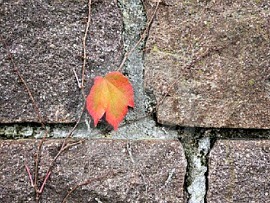 In The Last Leaf we have three main characters all living in the same apartment block (setting). Johnsy has lost faith in life (plot) and is torn as an individual (conflict) and Behrman paints the leaf to help Johnsy (resolution). Thanks for the comment Raven. Taking technical climax as being the turning point in the story I would have to say that Behrman’s painting of the leaf is the turning point in the story. While the dramatic climax, if taken as being the highest emotional point of a story, would have to be Johnsy’s reaction to seeing the last leaf still standing. Thanks for the wonderful information. Can I know what is the critical appreciation of this story. Its urgent please! Thanks for the comment Dhiren. Each reader is going to appreciate the story in different ways. A critical appreciation of a story involves a close reading of the story and extracting parts that make up the story to formulate an opinion on the story. For me the most critical element of the story is the sacrifice that Behrman makes for Johnsy. Thanks for the comment Sunan. The story can be confusing at times. Thanks for the comment Rodel. I’m not too sure what literal approach means but it is possible that it could be interpreted to mean taking each word as literal. That being take every word as it is meant to be taken, literally. Can you please describe the theme of hope. Thanks for the comment Arunima. Johnsy loses hope in the story. She does not believe there is any beauty left in life and it is only through Behrman’s act of painting the leaf that Johnsy’s faith in life is restored. Behrman’s act of painting the leaf gives Johnsy hope. Thank you. “A diseased mind is even more harmful than the disease itself.” Can you justify this statement in the light of the story The last leaf. Thanks for the comment Ryan. There may be some truth in the statement. Johnsy is not proactive when it comes to trying to get better. She gives up on life and enters a state of sadness which is detrimental to her health. If she was thinking clearly she may not necessarily suffer as she does. Can you tell me what role does human emotions play in this story? what are the human emotions evoked in the story and how? P.S. I have a project in my school on this. can you write in detail? Thanks for the comment Rajanya. There are definitely three emotions (sadness, fear and love) that are evoked in the story and which help to drive the story forward. Johnsy is obviously sad and sees no light in the world while both Behrman and Sue are fearful or afraid that Johnsy will die due to the stance that Johnsy is taking. It is due to the fear that Behrman feels that he acts as he does and gives his life to help Johnsy. Though Behrman may appear to be uncaring he in reality loves both Sue and Johnsy and it is due to this love that he paints the leaf. He is trying to help a friend. Thanks for the comment Abisha. I’m glad you found the post of some benefit. Thank u so much for the help! What is the most important event in the story? Thanks for the comment Zineb. The most important event is probably the fact that Behrman sacrifices his life for Johnsy. By painting the leaf Behrman manages to rejuvenate Johnsy. However it comes at the cost of his own life. I don’t quite understand the first paragraph describing a road which overlaps itself. Does this part have a significant meaning in the story? Thanks for the comment Rose. I hadn’t noticed it previously but perhaps it acts as foreshadowing. Just as the road crosses itself a time or two. Behrman life crosses into Johnsy’s life. 1 ) Assess the construction of O.Henry as a short story writer with particular reference to ‘The Last Leaf ‘ . 2 ) Discuss the themes of D.H Lawrence’s short titled ‘ odour of chrysanthemums’ in details . Thanks for the comment Raaj. I’m not overly familiar with O. Henry as a writer/person so I don’t feel as though I would be able to answer your question. I’ve also never read Lawrence’s Odour of Chrysanthemums. Thanks for the comment Halima. I deal with some of the symbolism in the story in the 4th paragraph of the post. Assess the contribution of O. Henry as a short writer with particular reference to “The last leaf” ? It’s difficult to asses a writers contribution based on just one story. However in The Last Leaf Henry manages to add feeling into the story. The reader feels for Behrman (as they do Johnsy). Henry also manages to connect all the characters together by way of their profession (artists) and by the fact that Behrman despite a cold exterior is very much concerned about Johnsy. Thank you very much Dermot. Actually I wanted to know this answer since morning therefore I read lots of blogs but I could not get the answer. After that I have decided to ask you that question and you have helped me for getting the answer like other days. For this answer I will be grateful to you always. Once again thank you very much. No problem Pankaj. It’s a difficult question to answer based on just one story but I think that Henry manages to connect everybody in the story. Something other writers might fail to do. I am curious in what is the connection between mind and body in the story? Thanks for the comment Emily. Johnsy appears to give up on life by way of her thinking. Though she is physically sick the doctor does suggest that Johnsy needs to change her mental attitude in order to get better. This statement would be true in relation to The Last Leaf. Behrman never gets to see the effect of his masterpiece (the leaf) on others. Which is somewhat ironic because one would expect Behrman to reap the benefit of his work but he does not. Similarly with the twist at the end of the story. Johnsy on seeing the leaf has a new outlook on life. Something that the reader is aware is triggered by Behrman’s efforts. Johnsy no longer is ill or sick when she sees the leaf. It is as though a miracle has happened and Johnsy’s faith in life has been restored. I really appreciate all the hard work you’ve done to help me. So, thank you so much Dermot. 1. Do you think Mr. Berman would have painted the leaf on the wall had he known he would catch pneumonia and die ? 2. What do you think of the unnamed doctor of the story ? Behrman may still have painted the leaf even if he knew he was going to die. Though at first he appears to be cantankerous he very much liked Johnsy (and Sue). He could identify with their struggles to be an artist just as they could identify with his. The unnamed doctor appears to be used by Henry in a limited capacity. He does very little to help Johnsy though he is honest enough to tell her that she needs to change her attitude in order to get better. Thank you very much Dermot. Analyse the character of Mr. Behrman. Is there a contradiction in his character? If so, what is it? For me Behrman at the start of the story comes across as being a sort of mean if not a cantankerous person. However as the story progresses and he ends up sacrificing his life my view of him changed. The contradiction is that Behrman is not the same person as he was at the beginning of the story. The story comes across as being a sort of mean if not a cantankerous person. Could you explain this line in details? I’m taking cantankerous to be understood as mean-spirited. Behrman scoffs at softness in other people. Which suggests he is hardened himself. He is also described as being a ‘fierce little old man’. Which may suggest he is angry. When sue tells Behrman about Johnsy and her plight. Behrman shouts at Sue. Which would further suggest he is mean-spirited. Rather than at first having empathy for Johnsy. Behrman has contempt. Though as mentioned he changes later on in the story. Just checked out what cantankerous means. I got it wrong. It means bad-tempered and uncooperative. Which fits in with Henry’s description of Behrman. Though I would still consider Behrman to be mean-spirited when he first hears about Johnsy’s plight. Thank you for clearing my doubt Dermot. No problem Pankaj. Sorry for the confusion. Define short story. Discuss its techniques. This link here might help and this one here. Thanks for the information Dermot. But I am confused. Are the short story’s elements and techniques both same? They would be part of the technique. For example you have to have a plot (one of the elements) to write a short story. You could also include as part of the technique who narrates the story (1st, 2nd, 3rd person narrator) and what literary devices are used. Another way to look at technique for a short story is as follows. The character wants something or desires something. The character encounters problems (rise in tension). There is a turning point and resolution (or sometimes not). Then there is closure (or denouement). Not all stories follow this format but many do. Thank you so much Dermot. Identify two examples of personification in the last leaf? One example would be the doctor calling pneumonia, Mr Pneumonia and suggesting that pneumonia was not ‘what you would call a chivalric old gentleman’. Another example would be the streets mentioned at the start of the story. They are symbolic of human passions and relationships (crazy and broken). A quick summary of the story would be. Three artists (Sue, Johnsy and Behrman) live in the same building. Johnsy has given up on life. She is in bed waiting for the last ivy leaf to fall from the wall outside. When the leaf falls Johnsy will or decides that the time is right for her to die. To give up on life. Sue her friend and the woman who lives with Johnsy is worried about Johnsy. The doctor tells Sue that there is nothing more he can do. Johnsy has to change her outlook on life. It won’t be pneumonia that kills her (the reason she is in bed). In need of help Sue goes to Behrman who at first is abrupt but then decides to paint a leaf on the wall (his masterpiece). When Johnsy wakes up the next morning she sees the leaf. Which she thinks is real and changes her outlook on life. At the end of the story the reader is also told that Behrman after he painted the leaf died of pneumonia. More than friendship there is a relation between Johnsy and Sue. I think that they are lesbians. Johnsy wanted to paint Bay of Naples a concept related to lesbianism. When the doctor enquired about Johnsy’s lover Sue answered the question in an uninterested manner. What do you think? You could be right. When I read the story I didn’t look beyond the idea that Johnsy and Sue were anything more than friends. Without hope a person gives up. Something which Johnsy does before she sees Behrman’s leaf. It is as though Johnsy is welcoming death because she has no hope in her life. Hope may be an essential element of wanting to live. It is easier to live life if one has hope. I did not understand this story very well can you plz tell me in short. This previous comment here might help. How did Behrman’s actions affect the lives of all three main character, Including his own? His own life was affected because he died trying to save Johnsy. Johnsy’s life was invigorated by Behrman’s painting of the leaf and Sue lost a friend (Behrman) and got one back (Johnsy). After behrman’s death how are sue and johnsy likely to describe him? Is there any theme of fatalism regarding this story The Last Leaf? There could be. Johnsy is resigned to the fact that she is going to die. As is Sue. Thanks Aayushi. I don’t actually have the ability to convert to PDF. It may be a case that if you persevere you will succeed. Behrman has painted his masterpiece and Johnsy sees the good in the world.